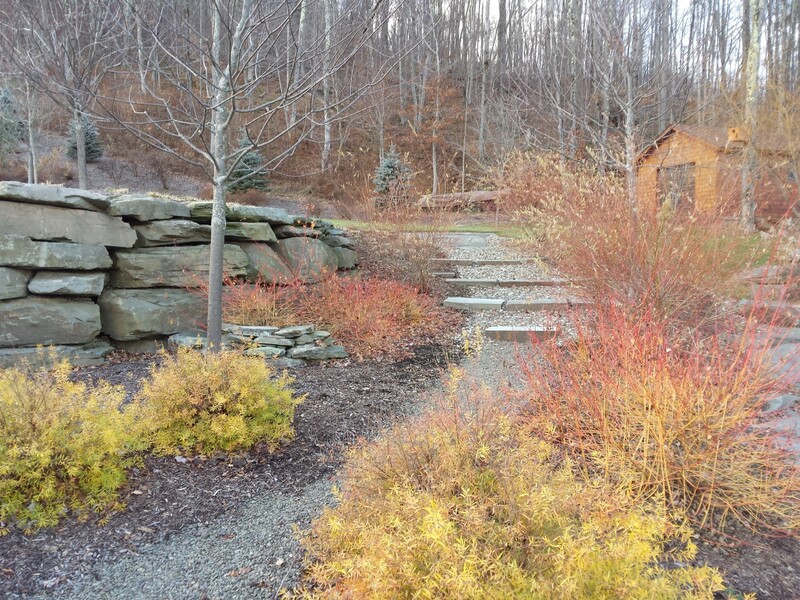 Zone4 Landscapes is a full-service landscape design, installation and maintenance outfit specializing in the unique challenges and opportunities of the Catskill region of NY. We love what we do and strive to make the collaboration with the client an enjoyable and productive experience from beginning to end. This outfit cranked up in 2005 so we have been around for a while now, and boy do I wish I knew then what I know now. I call it an outfit because it feels more like a rock band (without all of the fighting) than a business. None the less, it is a real business with good insurance, seasoned employees and a great deal of water under the bridge. I am Mel Bellar, the main designer, head honcho and chief bottle-washer, and I have learned a lot on this journey. In addition to learning a lot about what works (and doesn’t!) to make successful landscapes, I have learned that the most important thing in business is to have fun and do work that I love. 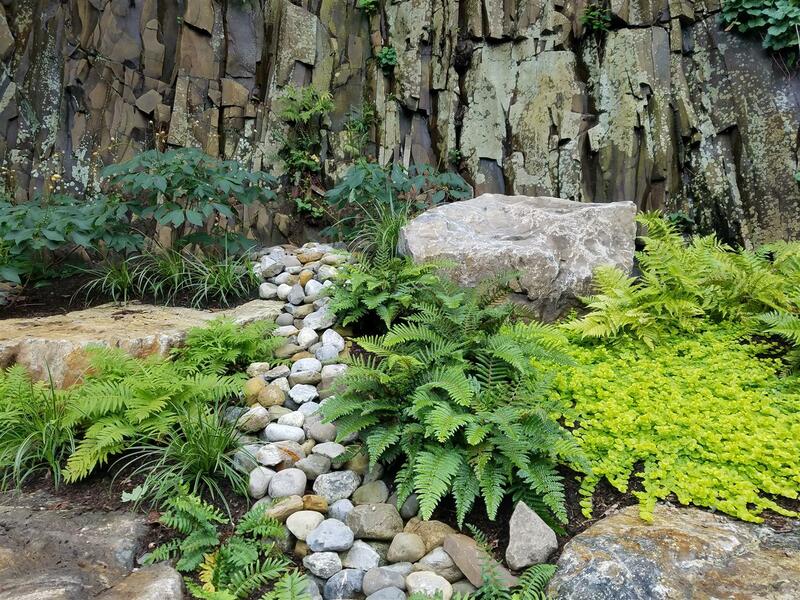 For instance, we love to collaborate with you to create a design that will meet your functional and aesthetic goals so that your landscape will be comfortable, useful and beautiful. Don’t worry, if you are not sure what you want, we will work together to figure it out. Then we will work with you to tailor an appropriate plan, culminating with an installation meeting our specifications. 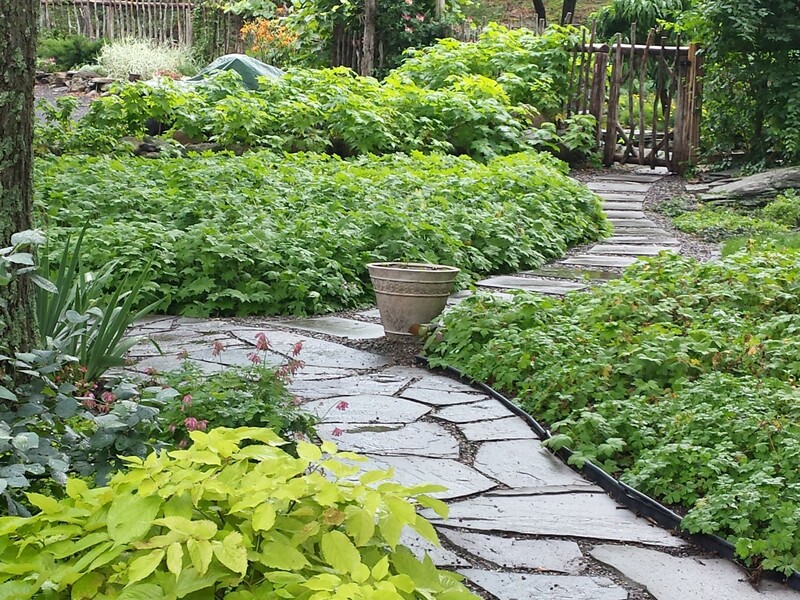 We would love to continue on and maintain your garden if you so desire and nurture the garden into its full glory. 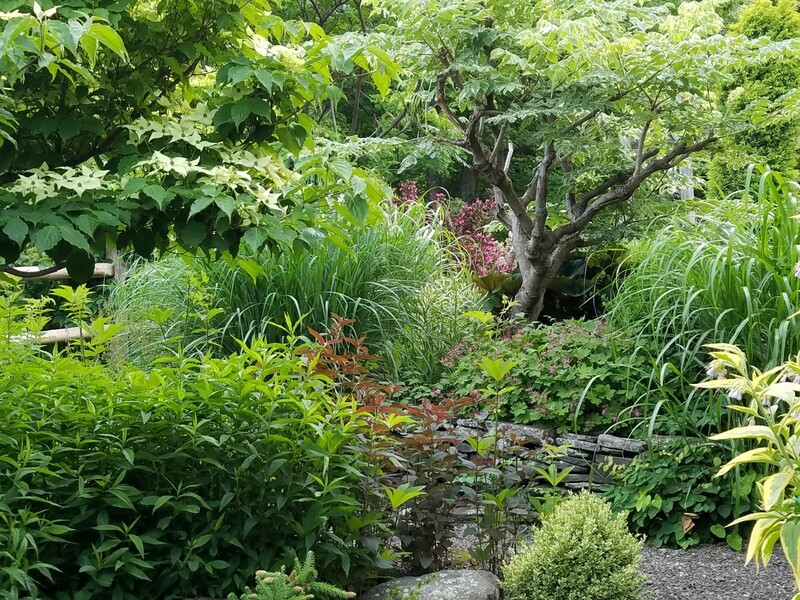 Following a garden through the years is very gratifying as the old adage, “The first year it sleeps, the second it creeps and the third it leaps”, is pretty close to true. 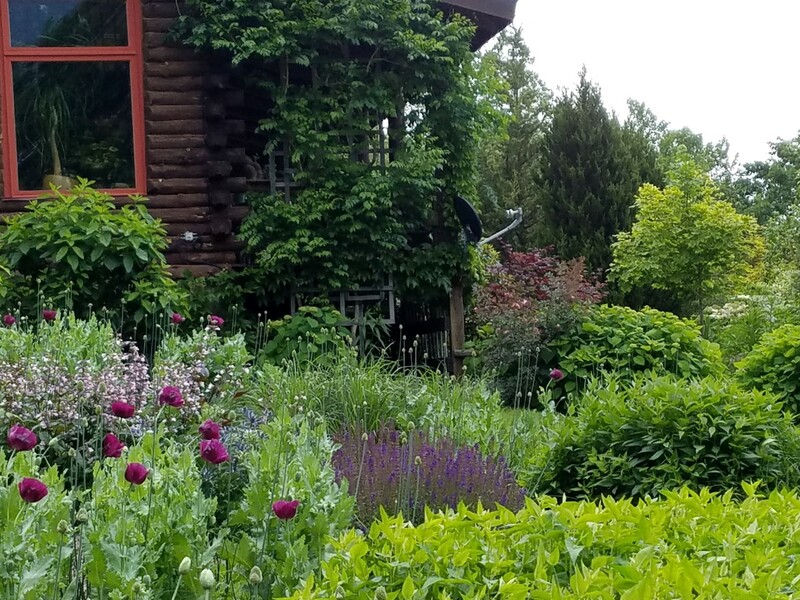 It is always a challenge to make a newly installed garden look great and plan for it to continue to look good in 3 years, 5 years and 10 years. 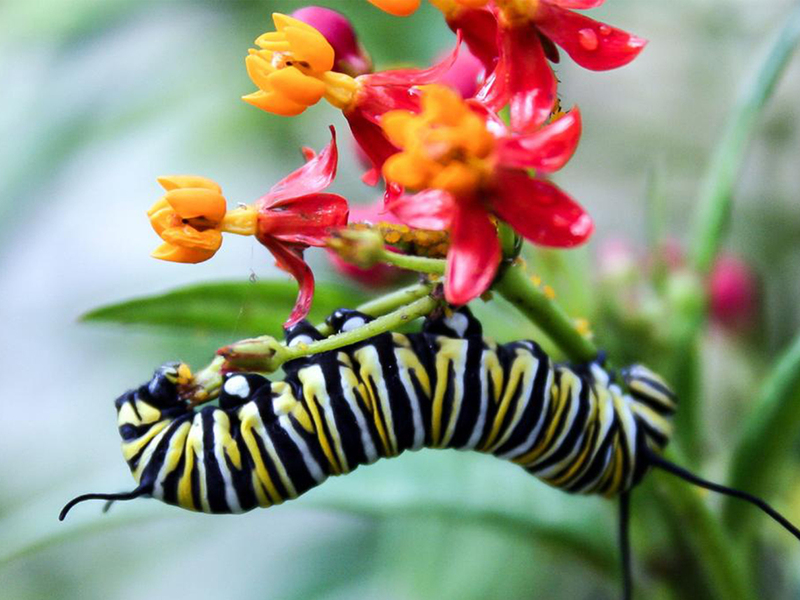 It involves choosing the right plants, placing them optimally, and either patience while they fill in or the willingness to do some thinning as the garden grows. 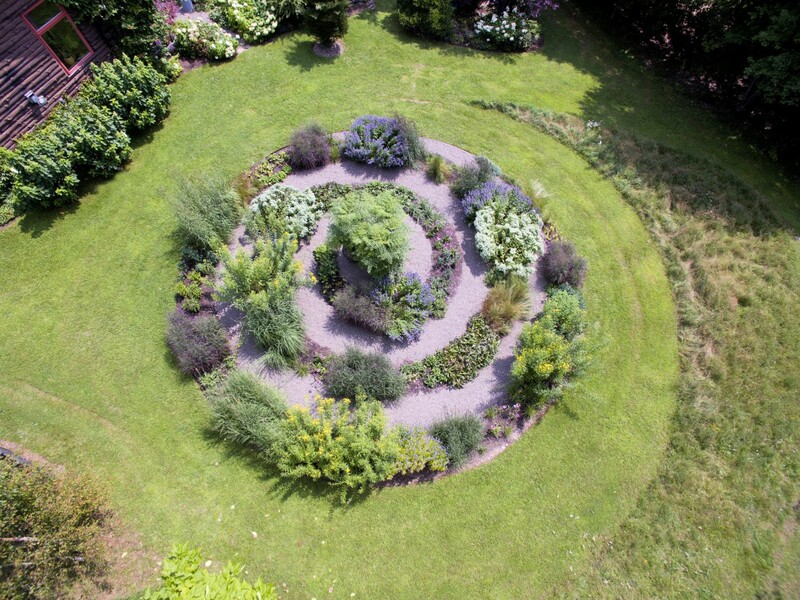 Regardless of the initial approach, a garden requires serious coddling for the first few years. 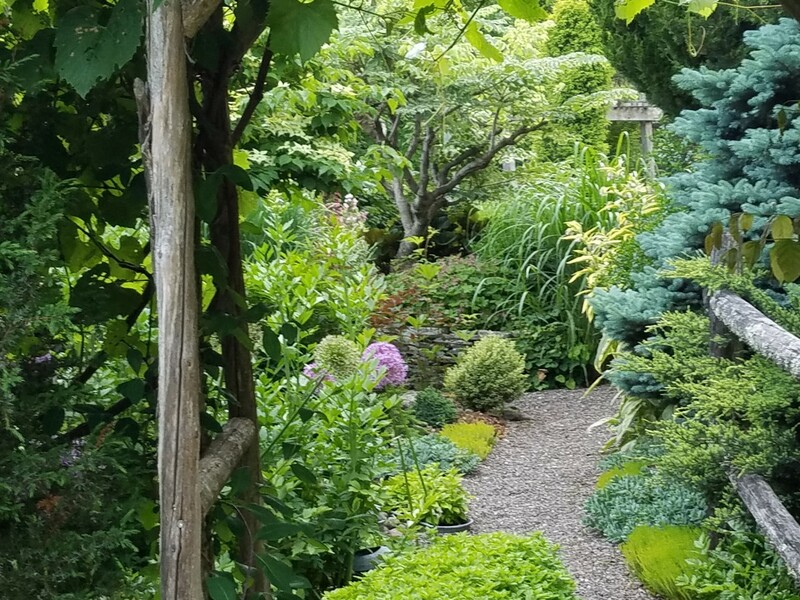 “Gardening is the slowest form of the performing arts.” This anonymous and provocative quote is a good introduction for the new gardener or client and a great reminder for the landscape designer. Design phase: Mel Bellar listened to our vision. He understood what we meant by rock-garden "Japanese" simplicity. We felt we were in a creative dialogue with a Master. 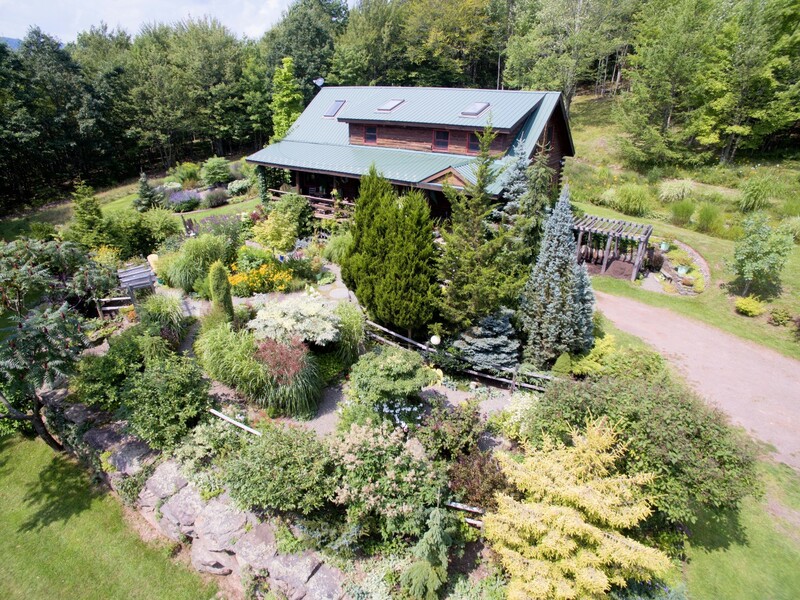 Mel's vast experience and knowledge of horticulture, as well as his sense of aesthetic values, connected with our own. His designs for landscaping around our lake home excited us. Each llandscape was unique, and yet formed one magical whole. 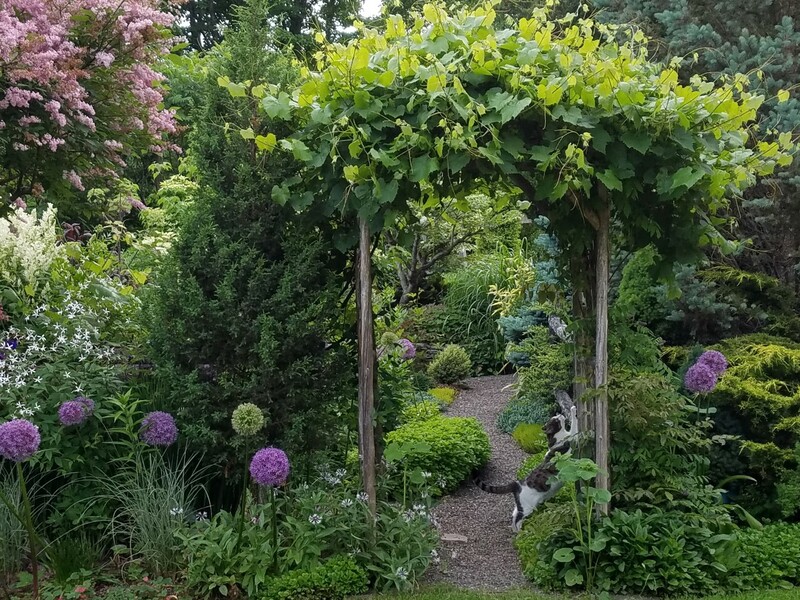 Mel and Gus transformed our front "factory" wall into a romantic walkway under a wisteria-draped pergola. They created a colorful and welcoming, one-of-a-kind "sculpture garden" courtyard--yet with restraint (low maintenance for us). They imbedded huge boulders into the very shape of our cedar deck, patio and firepit, so that each part flows naturally with the whole. Walkways might begin under a pergola, through a formal garden, emerge onto a bluesone patio, cedar deck, and end at a firepit with steps to the lakeshore. We were often pleased with Mel's enthusiasm, together with his estimates and pricing protocols, which he always explained to us. He went out of his way to recycle stone and boulders on our property, which saved us money. He met deadlines and stayed within budget. If he felt a need to expand, he came to us for discussion and approval. Execution phase: We soon found we could depend on him and Gus; he included us in his plans--always flexible with changes. He was not afraid to shift ideas with the shape and flow of the work. For example, when we asked, he would joyfully incorporate our "favorite" stones and stone choices into his design. A true artist: We sensed his integrity and the quality of his workmanship, esp. when he disagreed with notions we had which would not work. We totally trusted him and his workman, Gus, to surprise us with their stone-scaping. 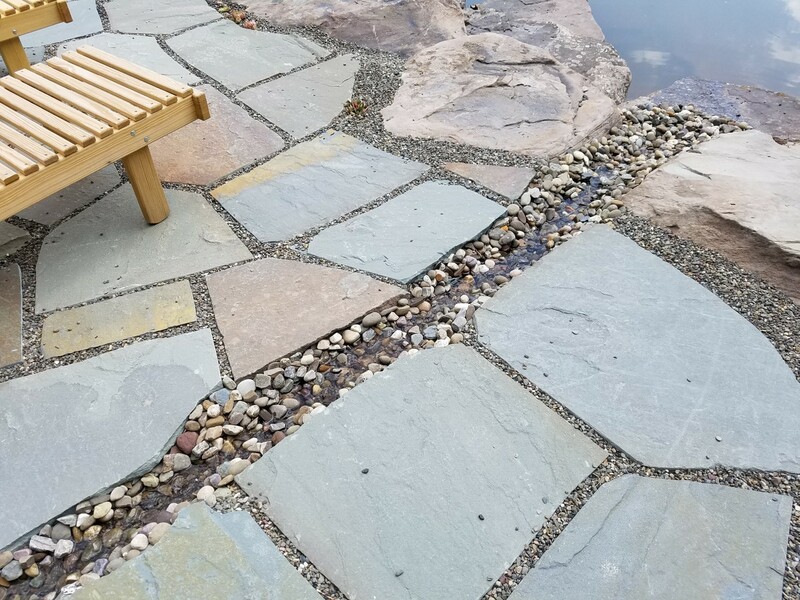 Like old-world artists, they crafted organically, as they shaped, cut and fit each bluestone of our paths and patios. The results: Breathtaking! Every pathway around our home leads to a new wonder, each different yet coming together in one organic whole. Mel and Gus stayed focused on our project, and joined with us in our pride of the outcome. 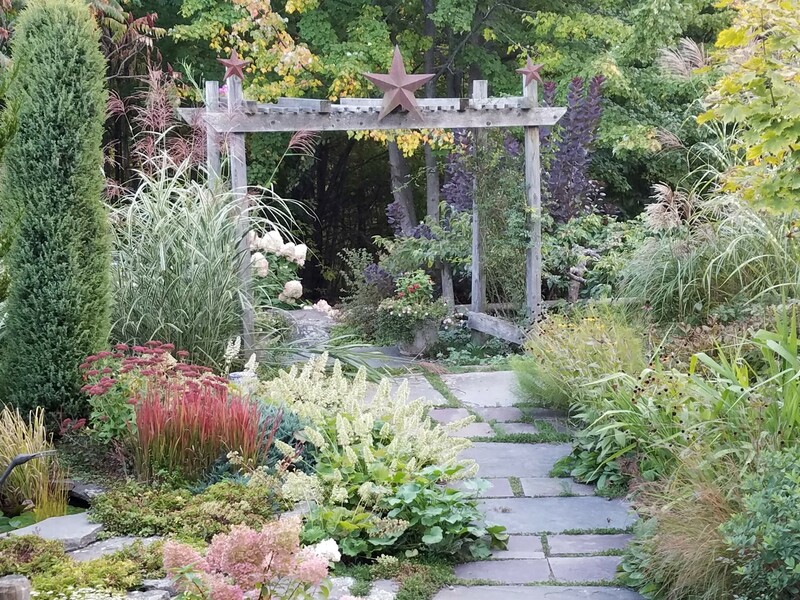 We highly recommend Zone4 Lanscapes to others. 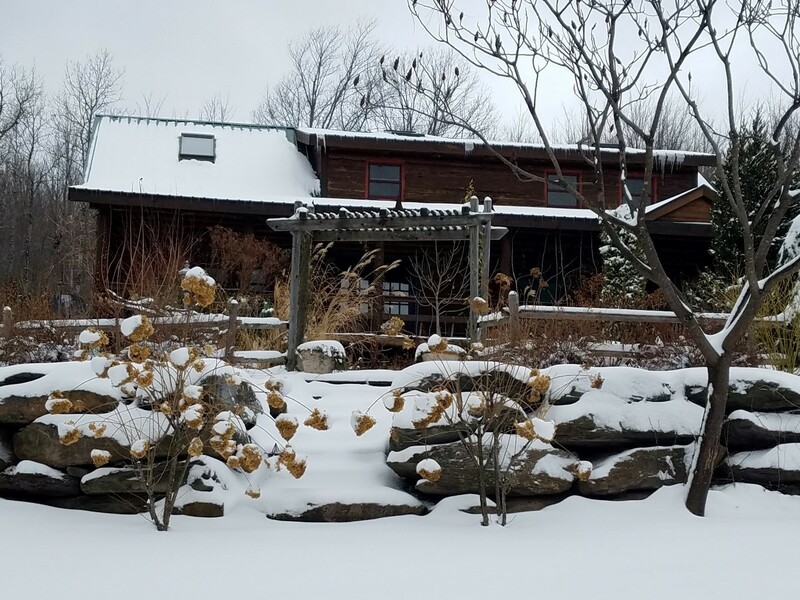 We hired Mel and his team at Zone4 Landscapes to plan and execute a complete landscape/hardscape solution for our newly constructed log home in the Catskills Mountains. The planning stage included having a number of consultations that were aimed at developing a deep understanding of our wants and needs with the various spaces (about 1.5 acres around the home). In addition, Mel, who has a background in computer programming, utilized sophisticated designing software coupled with innovative techniques such as downloading satellite images from Google maps to create very detailed and accurate planning plots. 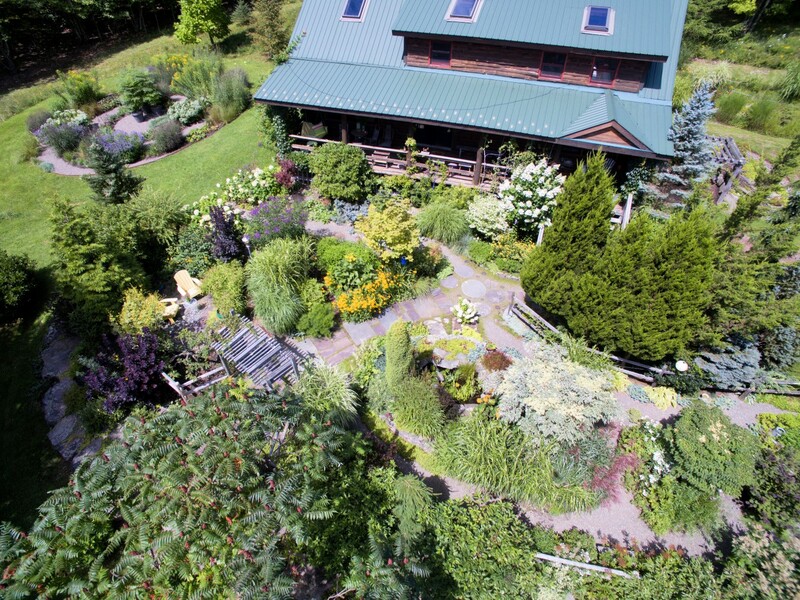 Mel has deep knowledge of horticulture and was able to make very specific recommendations that met our needs for the look and required level of maintenance of various plantings. He was also able to make a couple of more exotic recommendations that made us feel we had had a truly unique garden. The implementation was done taking special care to make sure planting areas were properly prepared and fortified with the right type of soil and compost initially followed with the right balance of TLC that allowed almost every plant (> 100) to not only survive but to thrive. Though we are thoroughly satisfied with the plantings, it was Mel's vision and implementation of hardscaping that blew our socks off. We had asked for a 'natural' solution that would allow us to utilize our uneven backyard region and would also draw us 'out' to various new spaces, including a stone patio featuring a large fire pit. Mel's solution exceeded all our expectations. 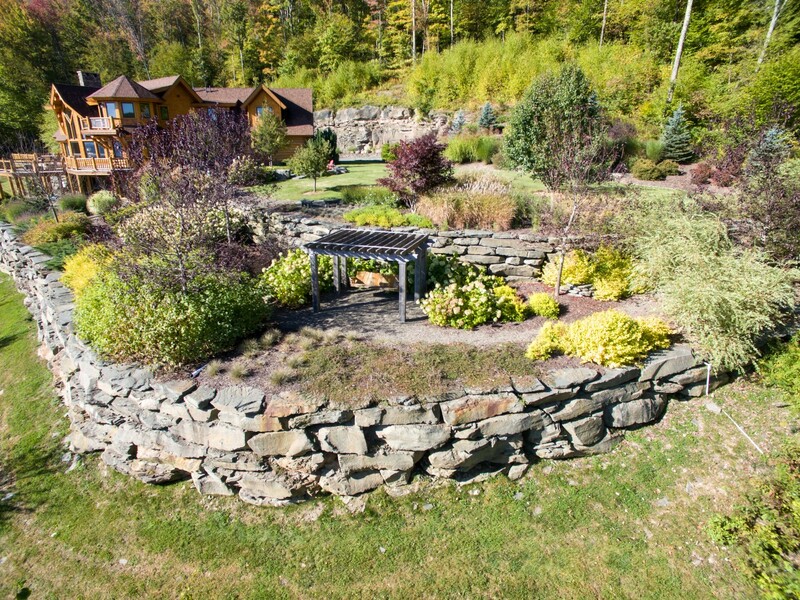 He was able to utilize locally sourced boulders and stones and carefully size and shape them to construct a masterful solution for our stone patio that extended out to various regions of backyard using stone laid stairs, flagstone landings, pebble paths and 'destination' spaces such pergola with a swing. 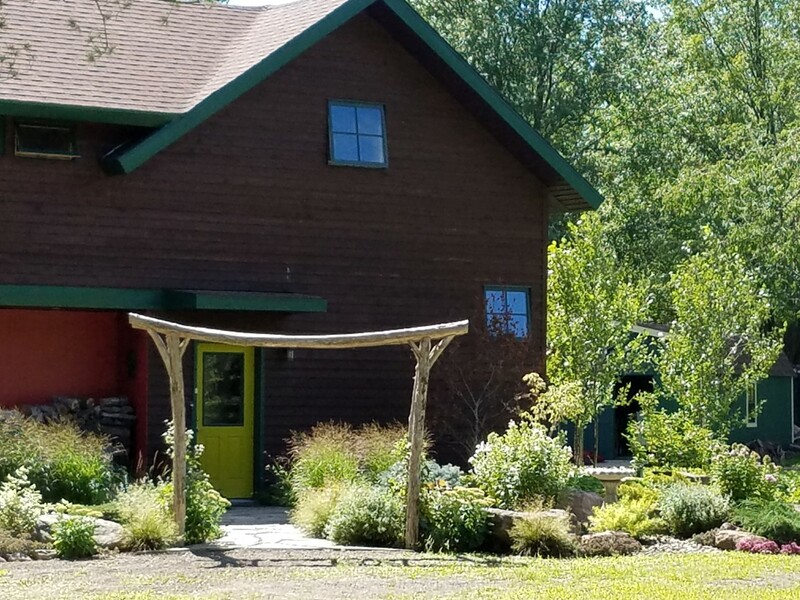 Both the planting phase and hardscaping phase were implemented by Mel directly with help from handful of co-workers (which included his lovely wife Peggy). 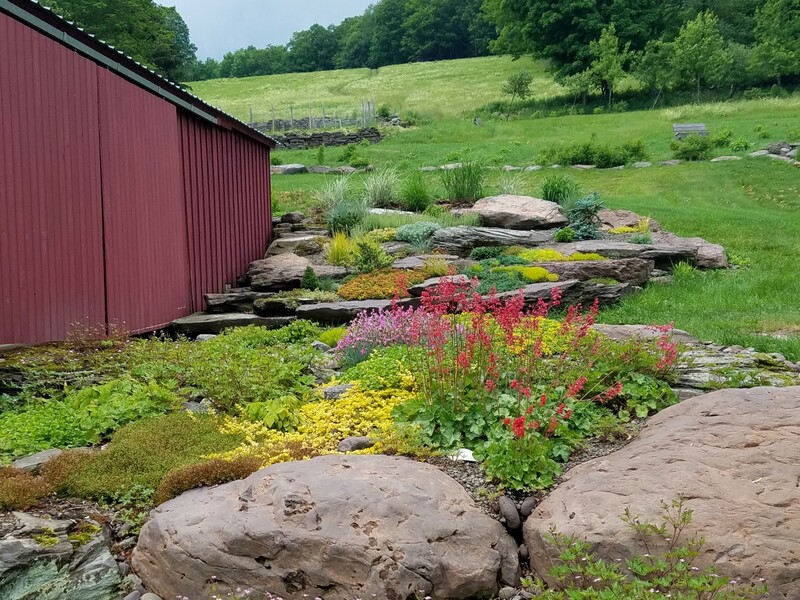 It was very fun to watch the coordination between them especially when it came to implementing hardscape features that sometimes involved moving boulders that weighed several tons or carefully cutting flagstones so that they fit together in a natural way. Budget-wise everything came in within 5-10% of our expected budget (not including add-ons/upgrades I made along the way). All in all I am in strong support of Mel and Zone4 Landscapes. 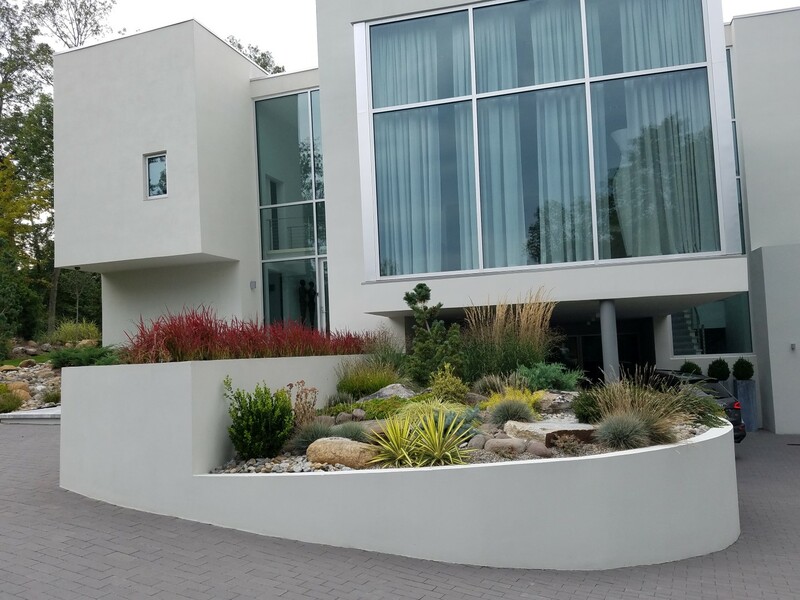 We have had the pleasure of working with Mel Bellar of Zone4 Landscapes on several projects and can say he is unequivocally a consummate professional. 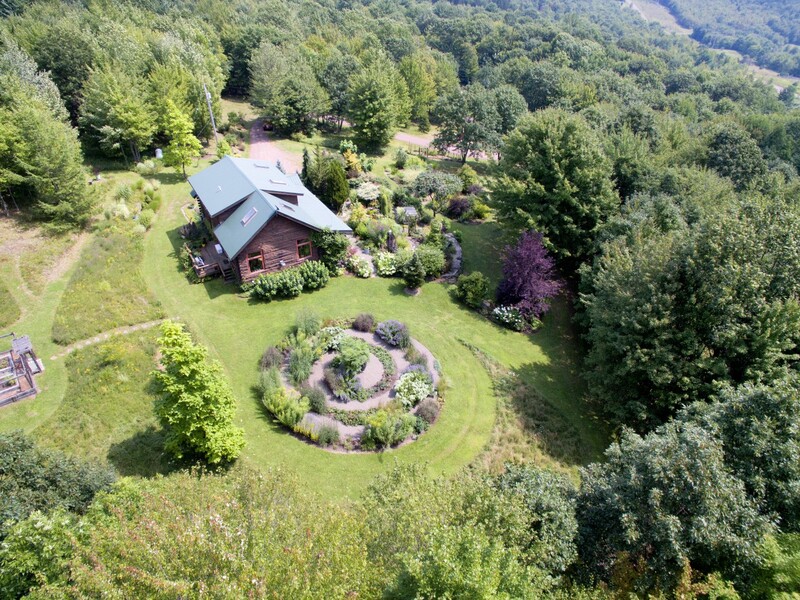 He has a pleasant, whimsical, and totally genuine personality, and he thoroughly enjoys designing gardens. 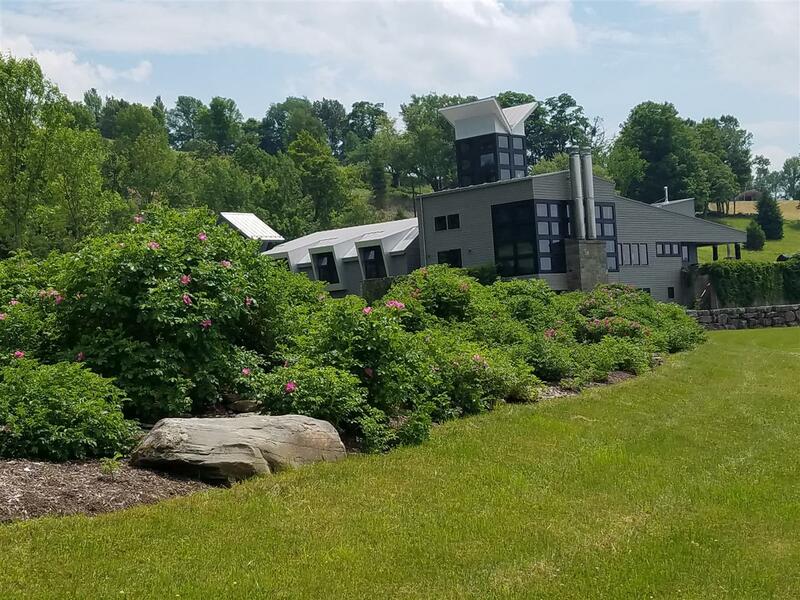 He is knowledgeable and experienced, always conscientious about budget and time constraints, and strives to make the landscaping process a pleasurable experience for all involved. He is attentive to both the client’s practical needs and to the innate requirements of the land and materials, and is proficient at artistically combining the two successfully. 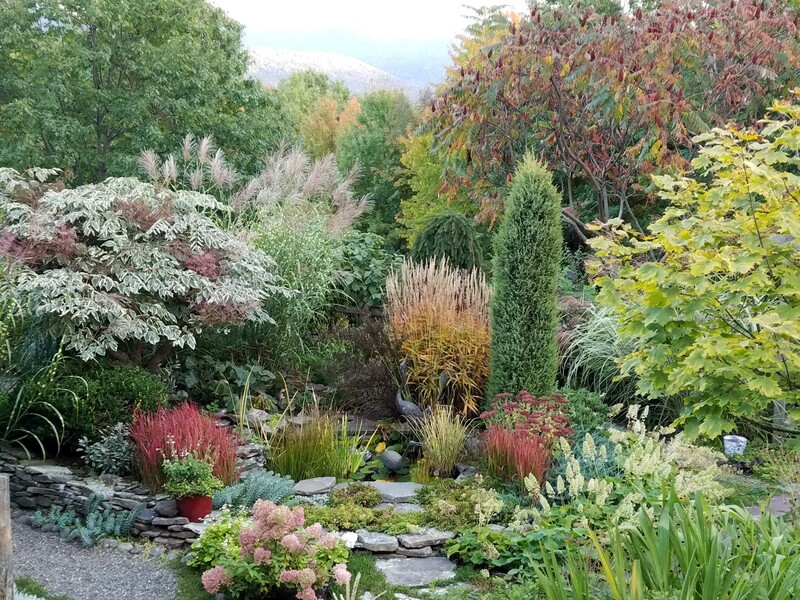 Whether designing in broad strokes with large groupings of colorful shrubs and grasses or creating intimate personal spaces with exquisite attention to detail, Mel truly is a gifted landscaper. He delivers unique and lasting landscapes that often go well beyond the client’s original vision. Mel Bellar is a genius. He understands what you want and creates masterpieces. He is honest and hard working and I would recommend him and his team to anyone who is looking to enjoy a beautiful outdoor space. He transformed our backyard into a weekend getaway complete with deck, hot tub, patio and garden. After looking at some of their projects I called Zone 4 and met with Mel. After listening to my ideas and studying the site he came back with a plan that exceeded my idea. I loved it and we agreed on an estimate. Work started on schedule and proceeded on schedule. Mel and his crew were respectful, professional, careful and joy to watch and interact with. The job was done on schedule and on budget and we love the outcome. 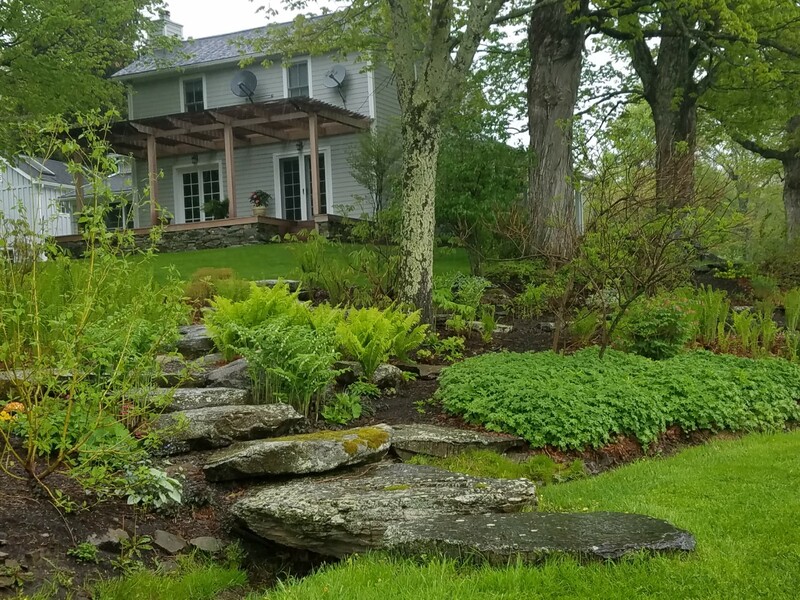 The follow up care, visits and involvement by Mel and his people continue to reinforce the wisdom of my choice of Zone 4 for the design and installation of my landscape projects. I hired Mel Bellar, who founded Zone4 Landscapes, after visiting his own property, which, frankly, would put the hanging gardens of Babylon to shame. 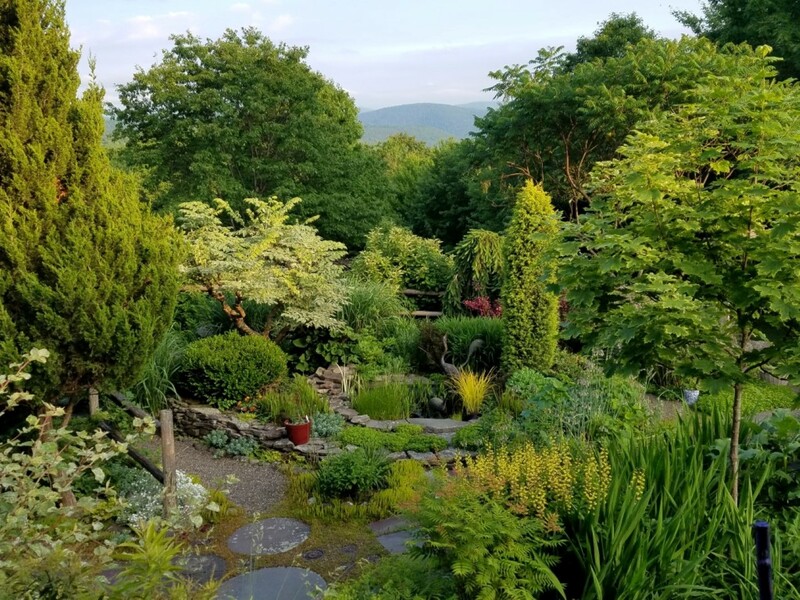 I am a novice gardener and wanted someone who not only had technical expertise and practical skills, but also the vision to create something really beautiful. From our very first meeting, Mel was able to intuit what I wanted, even when I had trouble articulating the details. He's a terrific listener, which I think is a critical skill for a landscape designer. He's also tremendously patient. And he has an incredible eye. 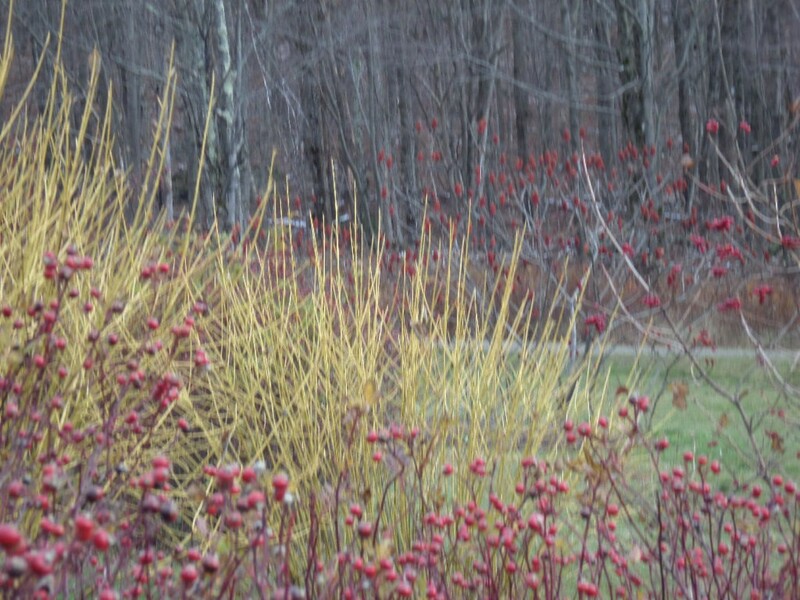 He used native plants for my garden, which was important to me (and is almost always his preference), was extremely respectful of my budget, and developed a plan that could -- and will, as funds allow! -- be expanded over time. He also works fast and is very focused. And he really cares about his clients and their gardens. He stays in touch and is always available to answer a question or solve a problem. Once a client, always a client seems to be a motto with him. I honestly couldn't have envisioned a better outcome: every time I see my property, I feel a rush of pleasure. (Even in winter, it looks great. This is something else Mel taught me: that structure and hardscape are easily as important, if not more so, than flowers. This may seem obvious to an experienced gardener, but it was a valuable lesson for me.) All this, and he's warm, funny, and generous, to boot. I cannot recommend him highly enough.